If you’ve been around strength and conditioning for awhile you’ll likely know Joe Defranco. 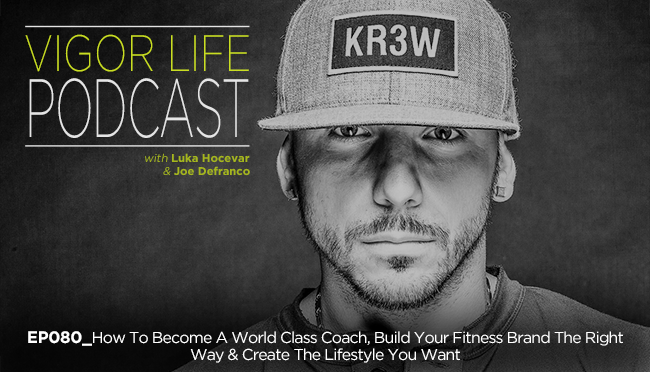 Joe is one of the OG’s who started the warehouse gym movement, became a trainer to the pros, and is now one of the most accomplished coaches in the industry. He’s been there, done that, and still doing it. Joe has successfully moved from a career owning and growing gyms, to one where he works with only a select group of high end clients. He also has also launched a number of successful online products and courses, live certifications, and has an extremely popular podcast, and a supplement brand. Basically, he has done it all. In this episode we get into how it did it. We talk about everything from what helps you stand out as a coach, the “old school” things that will work forever, the “new school” things you should focus on in today’s social media-driven world, what NOT to do, and how to build a career that is customized to what you want for yourself and your family. This episode is pure fire. You’re going to want to listen to it till the very end. Thanks so much for joining me this week. Have some feedback that you’d like to share? Leave me a review on iTunes. This entry was posted in Podcasts and tagged Athletic Training, Coaching, Fitness, Fitness Business, Personal Development, Self Development, Self Help, Strength, Training. Bookmark the permalink.